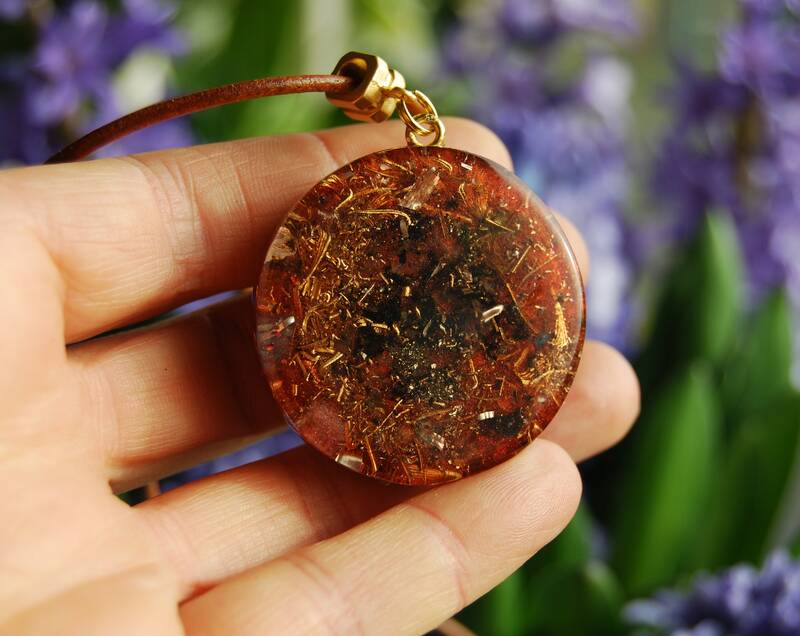 This lovely 4 cm / 1.6 inches Orgonite® pendant contains aluminium, bronze, copper and brass shavings. The main stones are raw blue Apatite meticously laid around the Hunab Ku symbol in the front. 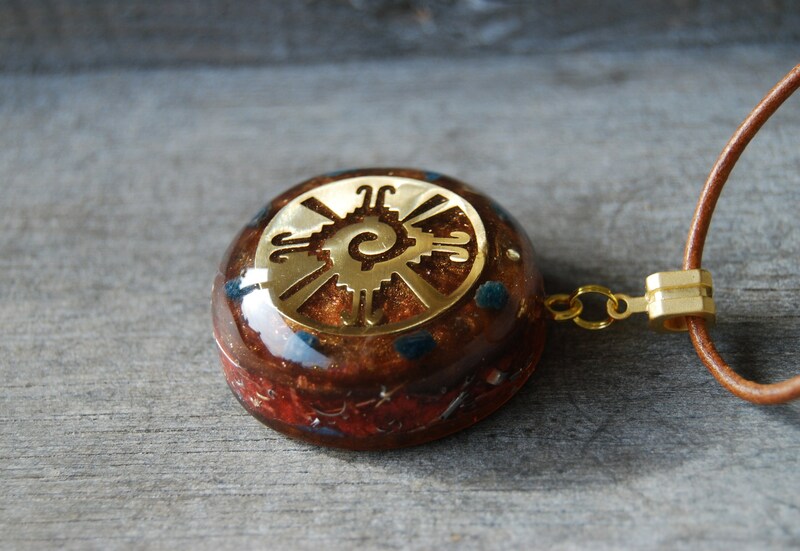 It furthermore contains little Pyrite clusters (to enhance the overall strength of the piece),Elite Shungite (protection), Rhodizite crystals (to amplify the stones), raw black Tourmaline (to ground and protect), Selenite (to charge and clean) and clear Quartz (for piezo electric effect) all within a durable resin setting. It has a gold Hunab Ku symbol in the gront. 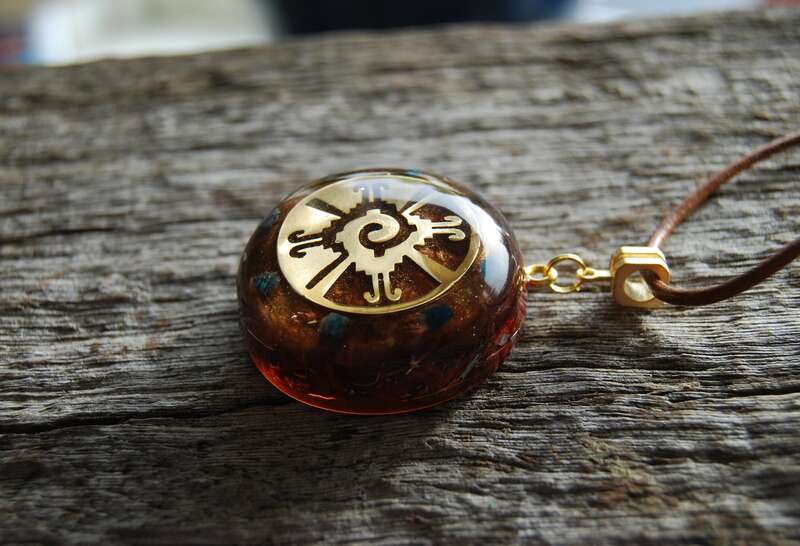 You will get the pendant as shown in the pictures. 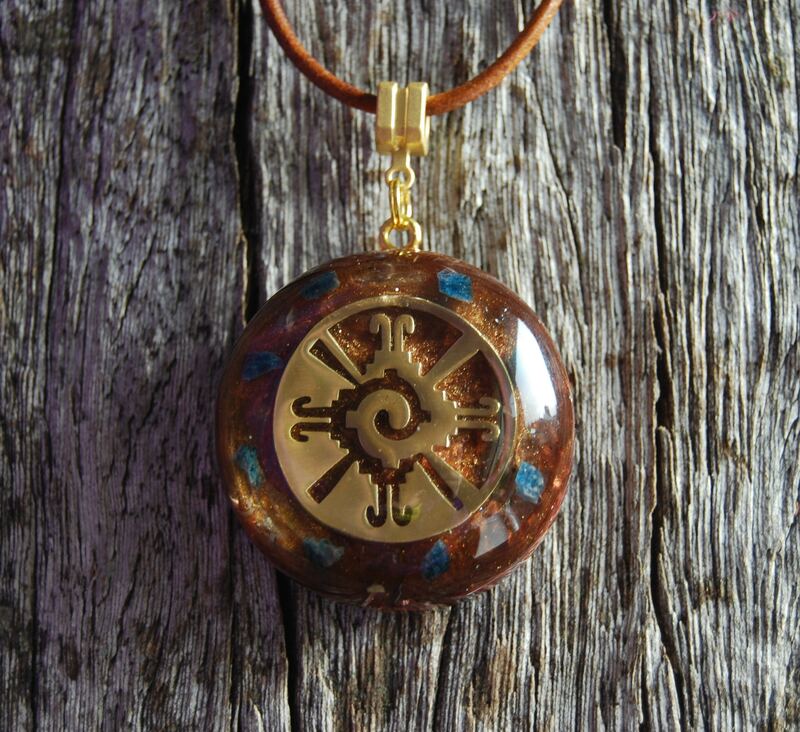 The Hunab Ku is an ancient Mayan symbol that is said to represent the Supreme God or the One Being, with ‘Hunab’ meaning ‘one state of being’ and ‘Ku’ meaning ‘God.’ It encompasses all opposites in the universe and unites them as one: male and female, dark and light, yin, and yang, conscious and unconscious, internal and external—the list goes on. Some believe that the Hunab Ku acts as a bridge to connect these opposites. Th Hunab Ku symbol is also called the Galactic Butterfly which is said to represent all of the consciousness that has ever existed in this galaxy. Blue Apatite has a wonderfully uplifting energy believed to encourage openness and contentment. 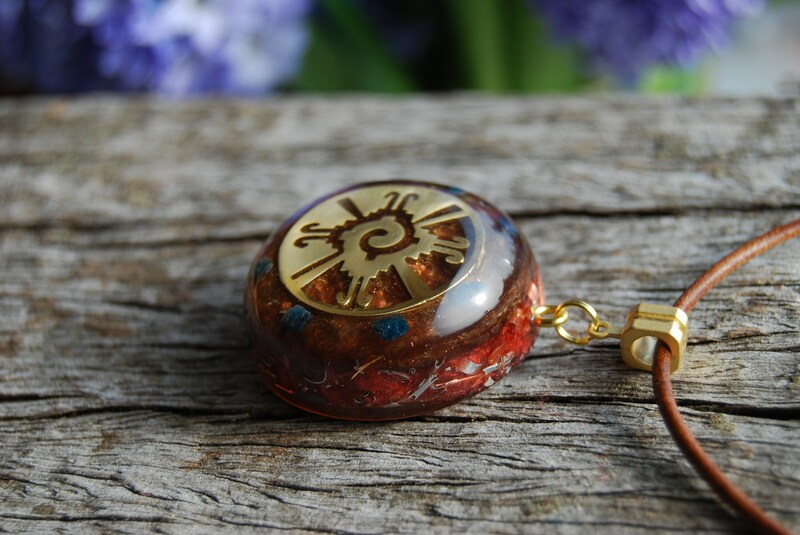 It is also a good, all-round healing stone. Blue Apatite, as its name implies, aids in digestion and hunger management, acting as an appetite suppressant. 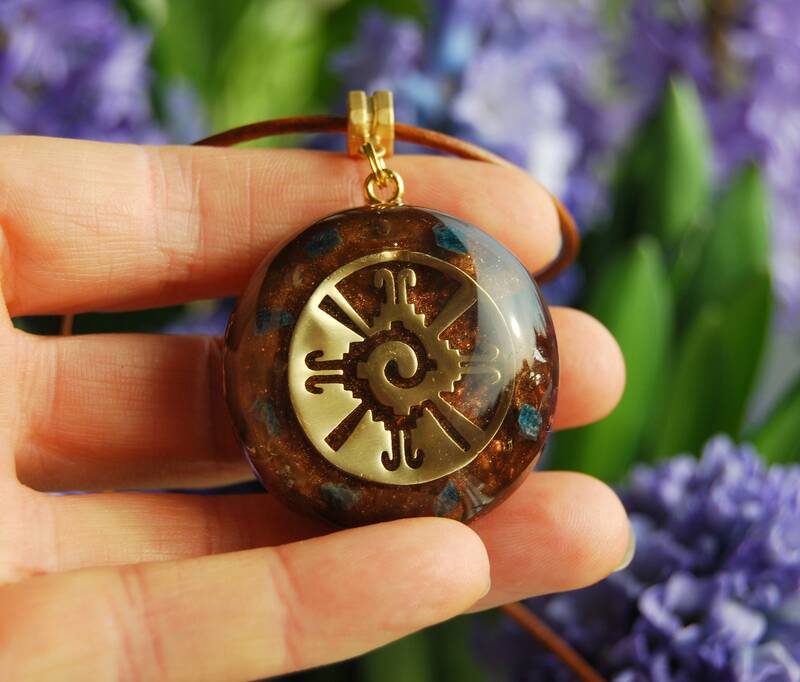 It allows the body to find balance again by clearing blockages, and realigns all the chakras. Blue Apatite is a stone for communications of all kinds, but excels in enhancing self-expression through writing. 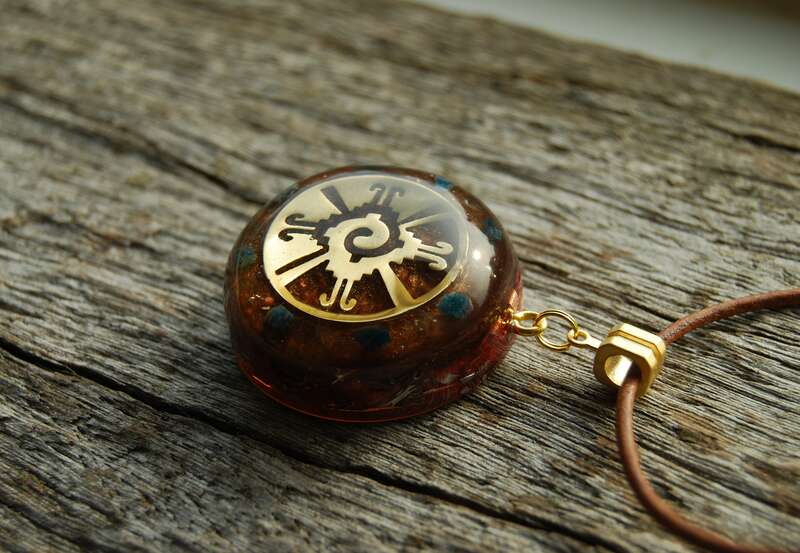 It is a stone that encourages deeper learning and helps one to find answers through study. Apatite also has the ability to open communications with other dimensions, so for those who seek to ignite clairvoyance or clairaudience, blue apatite has the goods. 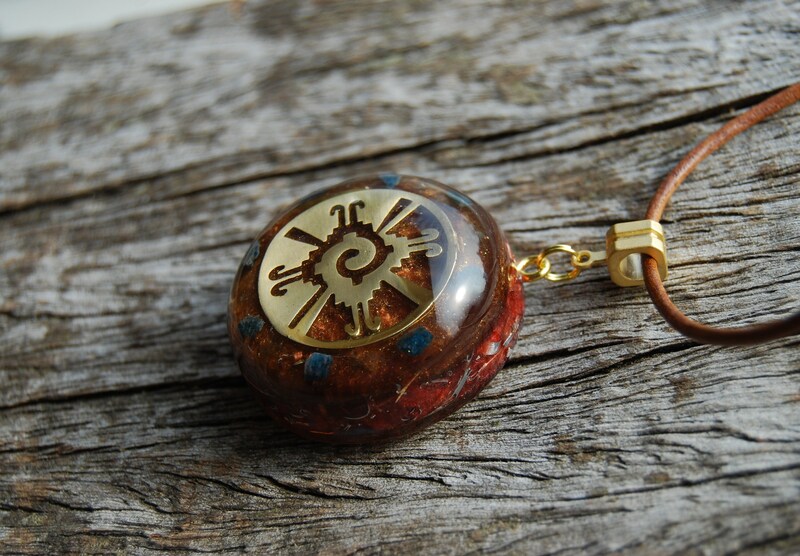 Deeper meditation may occur while working with Apatite. Blue Apatite has been known to help autistic children as it allows one to feel less stress in social environments. Apatite has the ability to heal your heart and emotions. It will neutralize or get rid of negative feelings that you are keeping in your heart and allow you to finally be free of them and move on from them. It comes on an adjustable leather cord. The bail is 22K gold plated.